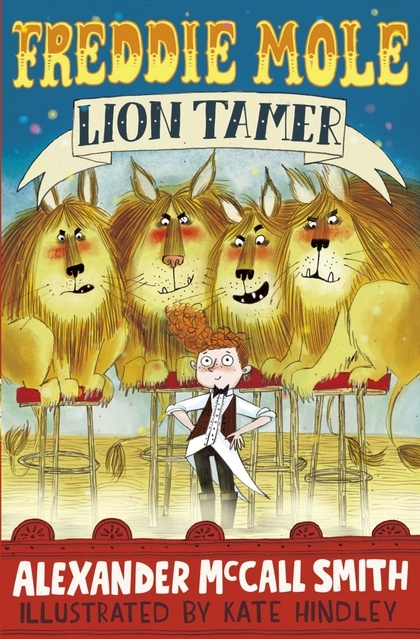 ‘Freddie Mole Lion Tamer’ by Alexander McCall Smith with illustrations by Kate Hindley is a charming, wonderful tale which is sure to delight young readers. It tells the story of Freddie an ordinary boy whose family is so poor that he dreams of making money for them so that his Mum doesn’t have to work away from home. His Dad reassures him that he should never give up hope and that good things happen when you least expect them. One day the unexpected does happen and Freddie is asked to join the circus, not realising one of his jobs will be an understudy to some of the acts. Conquering his fears he decides to do his best and before he knows it he is flying through the air on a trapeze and thrilling audiences with his daring. But when Freddie is asked to replace the lion tamer’s assistant can he be brave enough to enter the lion’s cage and tame four lions reassuringly named Ripper, Growler, Roarer and Prowler? I found this story to be utterly irresistibly entertaining and children will be swept away by the excitement of this sensational adventure. You can’t help being enchanted by Kate Hindley’s sublime illustrations which perfectly showcase the thrills and joy of the circus. She captures the love and warmth between the Mole family and her characterisation of the lions personalities is brilliant. It has a lovely vintage feel to the storytelling like a good old fashioned (in the very best of ways) tale which is enhanced by the beautiful production of the book. 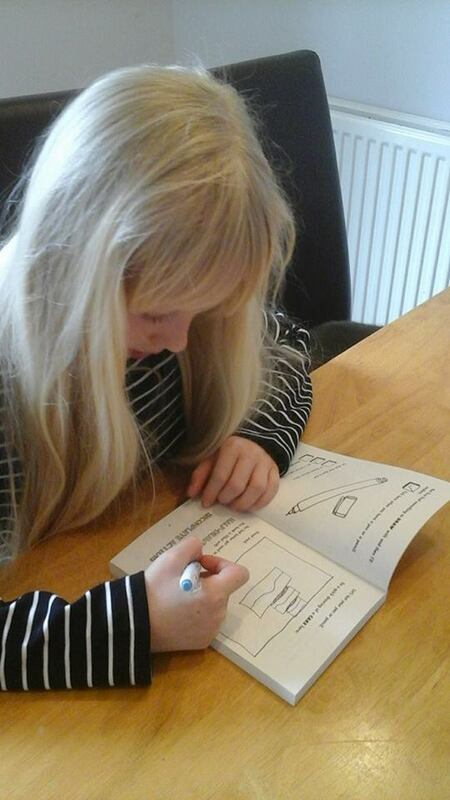 Perfect for newly confident readers this is a fantastic book which will leave you smiling. Thank you to Bloomsbury for sending me a copy of this book to review. This entry was posted in Uncategorized on April 25, 2016 by bookloverjo. 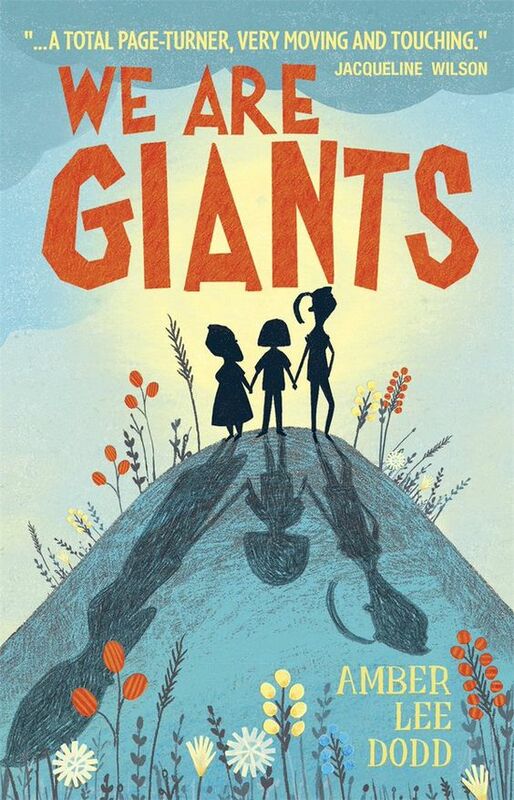 ‘We Are Giants’ is a heart warming debut from Amber Lee Dodd about love, family and friendship and how we learn to cope in a world we can’t always understand. Sydney’s life is turned upside down when a change in circumstances means she is forced to leave her home, friends and move away. Dealing with this would be difficult enough for anyone but the whole family is still coming to terms with the loss of Sydney’s Dad. Leaving behind all the memories that are wrapped up in their home and having to face the unknown is a huge upheaval for the whole family. What makes this book quite unique is that Sydney’s Mum Amy has dwarfism, it is unusual to see main characters in a book who have a disability but this is not the focus of the story. It was refreshing to see such a diverse family, as readers we all look for characters who we can identify with and imagine growing up never finding a book which didn’t have a character who reflected who you are. We do see the prejudice and ignorance that they face and the practical challenges of day to day life for Amy, but she is such a strong character her disability doesn’t define who she is. The interesting part is that Sydney’s grief seems inextricably linked to staying small and maintaining her connection with her Dad who also had dwarfism. Her fear of growing up is compounded by her belief that it will take her further away from him and that her memories will fade. I felt a real emotional response to the struggle that the whole family had in tackling their grief and the different coping strategies they used. However the situation is handled in a sensitive way and the story is incredibly uplifting as you see them learning how to live again and moving on to a new life. The story raises a number of issues which children reading it will be able to identify with the worries of growing up, the fear of not fitting in, friendship problems and the emotions that are sometimes difficult to understand. I found myself wrapped up in the story and read it in one sitting. It is a book that will keep you turning the pages wanting more and willing the family to a happier place. For me I felt like I was searching for the light at the end of the tunnel and there is a feeling of hope throughout despite the sorrow that the family are experiencing. It is a truthful and honest insight into family life, which I really enjoyed reading. A truly thoughtful and moving read. Thank you to Quercus for sending me a copy of this book to review. This entry was posted in Uncategorized on April 19, 2016 by bookloverjo. 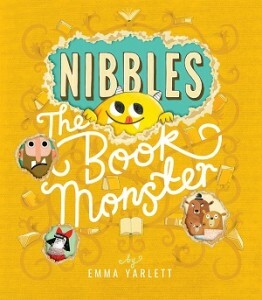 ‘Nibbles The Book Monster’ by Emma Yarlett has been a sensation loved by all the children that I have introduced him too. Since Nibbles came crashing into our lives, he wreaked havoc in our kitchen zooming around in a toy car and when he visited my school on World Book Day he delighted the children and went exploring in the school library. 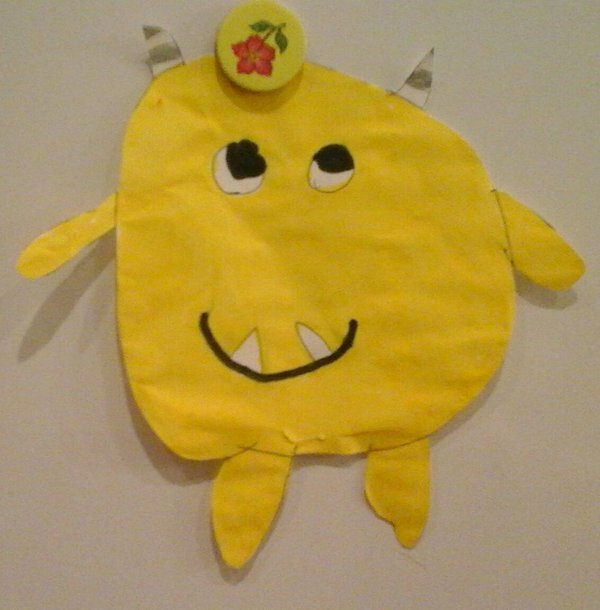 Nibbles even inspired some fan art from my youngest daughter who absolutely adores him. One of my favourite picture books of the year so far I really think Nibbles is a brilliant addition to any home or library. I’m delighted to welcome the lovely Emma Yarlett to the blog today to talk about her work. Where did you get the inspiration from for Nibbles? Was he always going to be a Book Monster? I’m not sure where the inspiration for Nibbles came from… It must have been multiple places within my subconscious, but none of which I can really put my finger on. The idea for the story itself sprang from a conversation with my editor at Little Tiger Press; Ellie Farmer. Prior to that we had thoughts of having a book that was a Pet Monster and needed the reader to care for them… but I guess this somehow evolved into a book about a monster book eater! Did you visualize it from the beginning being so intricate with all the flaps and cutouts? Yes. I’ve got a bit of a funny brain, and as soon as the idea for the book was brought into being I had very detailed ideas and thoughts about how the book would be executed from an engineering point of view. There were a few things that didn’t work quite how I wanted and so they had to be developed and altered, but majority of the intricacy of the book was there from the very beginning. How long did it take to write and illustrate Nibbles? Little Tiger Press and I began talking together about a (at that time) ‘Unnamed Novelty Picture Book Project’ back in September 2013, but we only began working on the book properly in January/February 2014. The project was completed in July 2015… So the project ran for a year and a half or so but with other projects on the go at the same time! I think overall it took around a year or so of dedicated time. I had a great reaction from the children at school when I shared Nibbles with them, do you read your books on children before submitting them? Oh wow, that’s super! 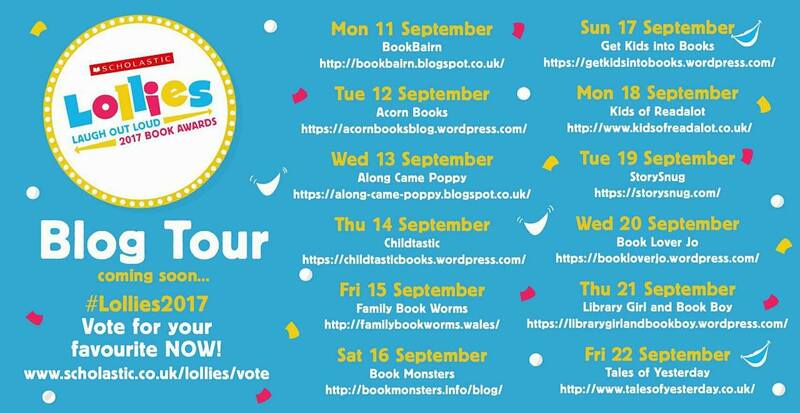 I have on a few of my previous books, but on this one… I’m still yet to read it to a child, my first author event for Nibbles the Book Monster is coming up soon! So you pipped me to the post, but it’s so reassuring to hear they enjoyed it! I often think that I should read my books to children before submitting… but I find the thought of it a little daunting, especially if I were to read it unfinished- as it might not quite be up to scratch, and me being the perfectionist I am, I would struggle to share anything not completely finished. Would you every consider collaborating with an author on a picture book or illustrated fiction book. 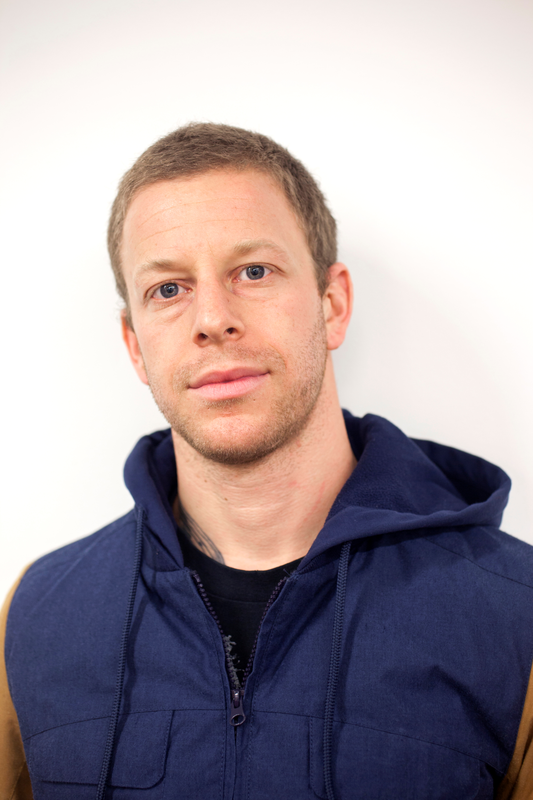 If so who would you love to work with on a project? I’ve done a few picture book collaborations (Bear’s Big Bottom with Steve Smallman, My Daddy’s Going Away/Mummy’s Home with Christopher MacGregor) and have one picture book lined up in America with Marcie Colleen which I’ve began work on. I would love to work on an illustration fiction book for slightly older readers… watch this space on that front! I do find myself enjoying more and more creating complete books of art and words, as in a very selfish way, I enjoy being able to create the world from start to finish and have more autonomy over the work. That said if the right text comes along it can be really exciting to get stuck into somebody else’s words and together create something shared that fulfills the vision of both the author and I.
I often have lots of ideas for stories and books, but don’t have the time to put pen to paper on all of them… and so I wonder if in the future I may even begin to just create the words and not the art… We will see! I have two favourite characters; one being Nibbles from Nibbles The Book Monster and the other being Dark from Orion and the Dark. I like Nibbles so much because he feels like such an out of control entity and he is very fun to play with and write for. His personality is so strong it makes him a bit of a dream character to write as it always seems so obvious how he would interact and react when plonked into different situations! I love Dark too, as he is such a gentle and friendly giant and seems to always have such a reassuring presence and deep Alan Rickman voice whenever I think of him. What is your favourite picture book you have ever read? Wild by Emily Hughes has been my favourite for a good little while now. There’s something so clean, classic and coherent about it that really resonates with me as a fellow creative. It’s the sort of book I look up too, as it really is executed superbly… and the message is so simple! The art is so fantastic too, completely different to my own, but I think that might be why I like it so much! 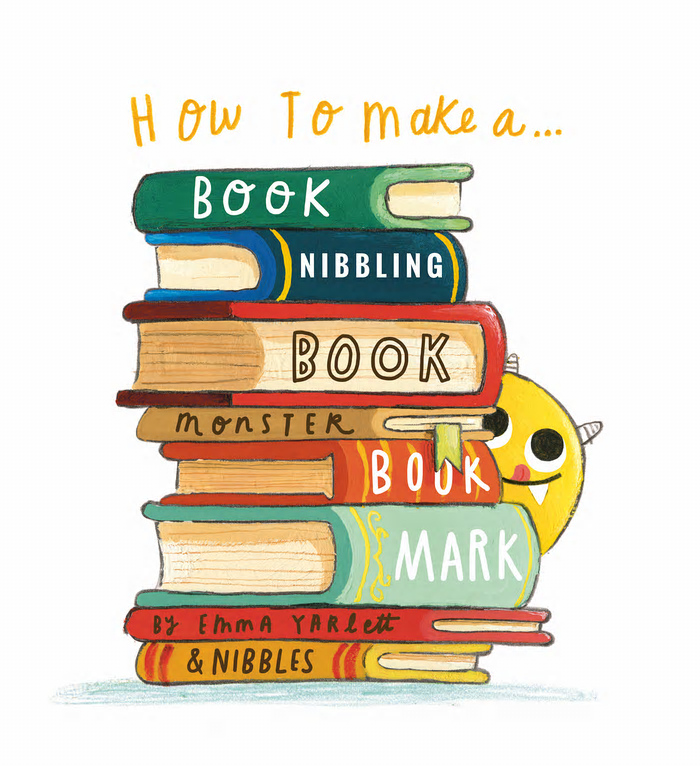 You can learn how to make your own Nibbles The Monster bookmark here. 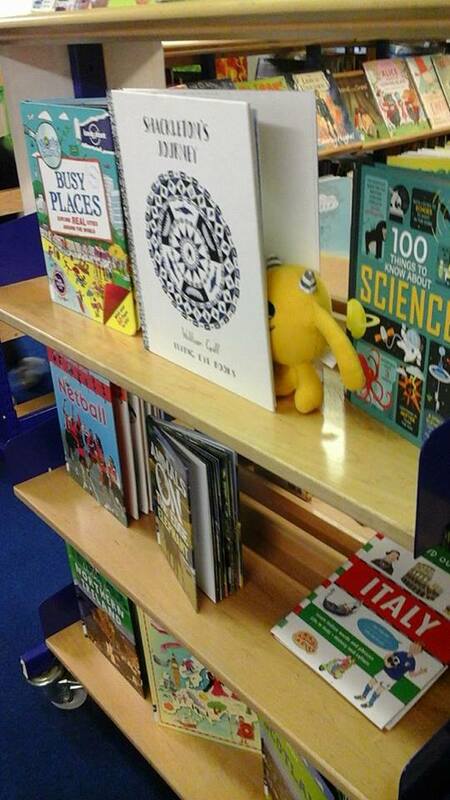 When Nibbles visited my school library he managed to escape and went hiding in one of the bookshelves. 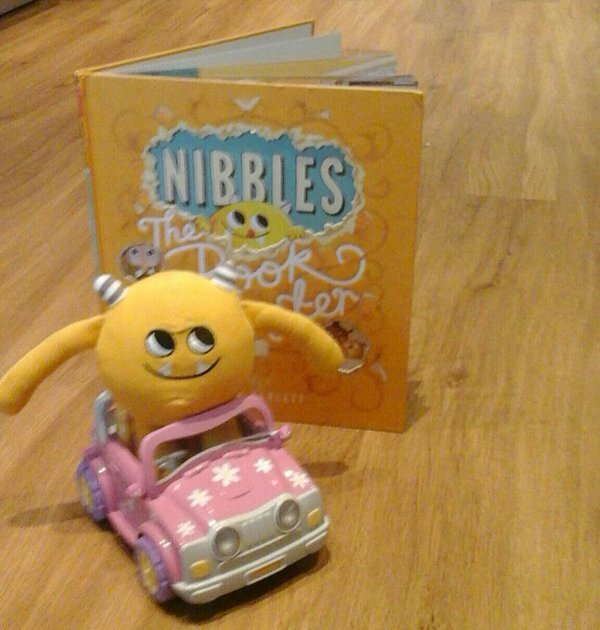 If you go to my twitter account @bookloverJo you will find a competition to win a Nibbles book and toy. 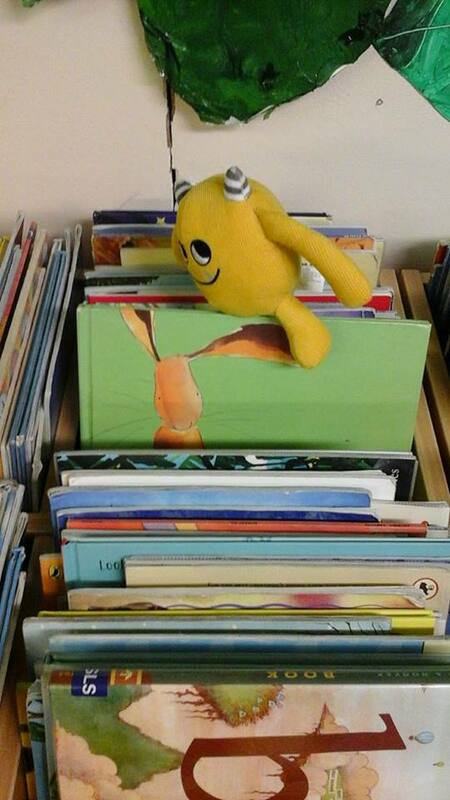 Tweet me which book Nibbles is diving into on my Twitter post (not on this blog post) using the hashtag #FindNibbles. All correct answers go into a daily draw and one person will be chosen by Little Tiger Press to go forward into a prize draw at the end of the blog tour. 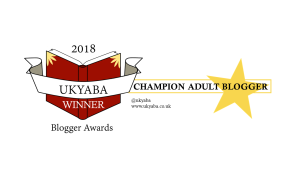 In case you missed the rest of the blog tour you can still join in and read more fantastic guest posts and reviews. 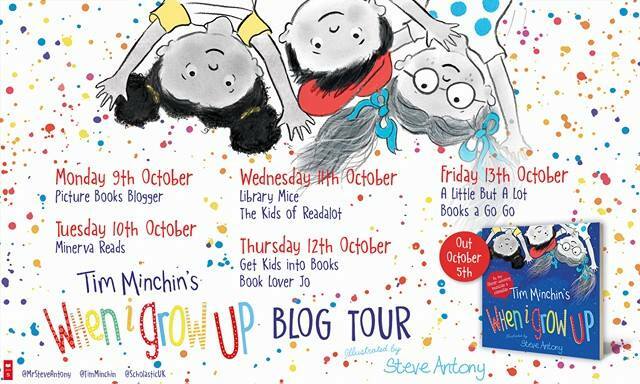 Thank you to Emma for answering my questions and also to Antonia Wilkinson and Little Tiger books for sending me a copy of the book and inviting me to join the blog tour. This entry was posted in Uncategorized on April 11, 2016 by bookloverjo. 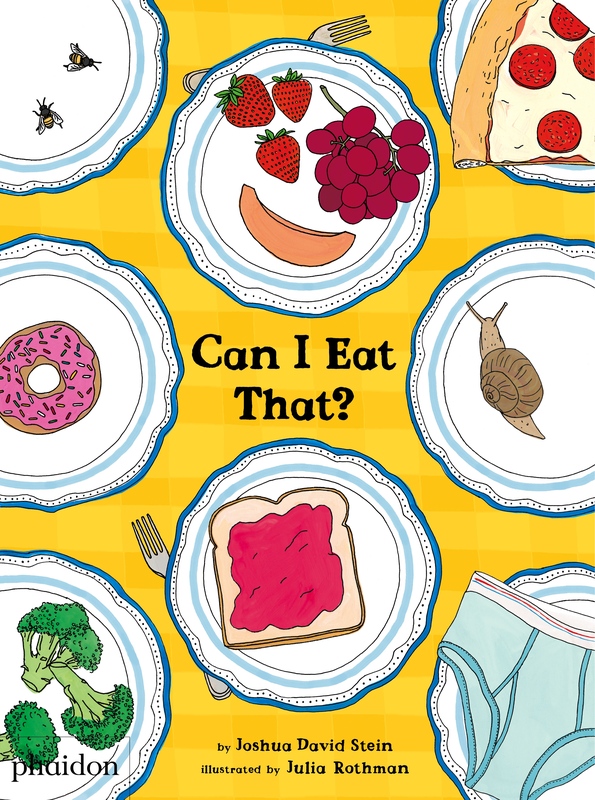 ‘Can I Eat That?’ by Joshua David Stein and illustrated by Julia Rothman is a perfect way to satisfy curious young minds. As a parent I was (and still am) bombarded by questions from my daughters. This book seeks to be informative and entertaining with a series of questions and answers about food we can or can’t eat. Looking at a variety of foods from around the world it introduces new and interesting concepts to children. 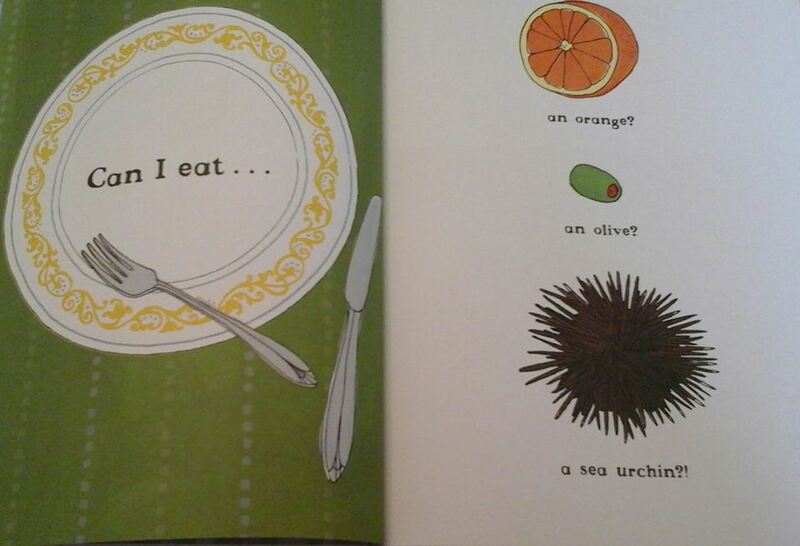 ‘Can I eat… a sea urchin? 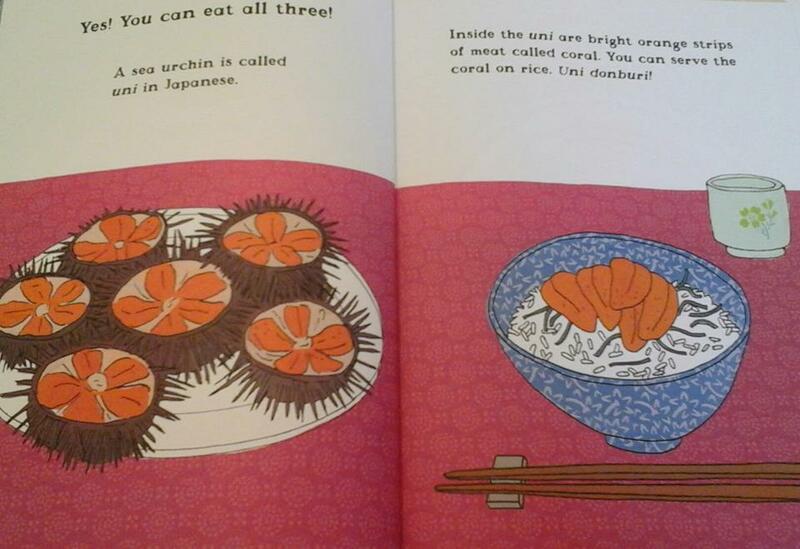 !’ While our instincts might be to say ‘No!’, in Japan the meat inside Uni (as sea urchins are known) called coral are served with rice. Playful and interesting it tackles those burning questions which children love to ask, ‘If fish don’t have fingers, where do fish fingers come from?’ and ‘if eggs come from chickens, where do chickens come from?’ Joshua is a food critic with a passion for food and he wants children to be too, allowing them to think about different food and cultures opens their minds to new and wonderful tastes. The illustrations from Julia Rothman – who is a food and textile illustrator – are vibrant and engaging and provide an early introduction to the art of perspective. 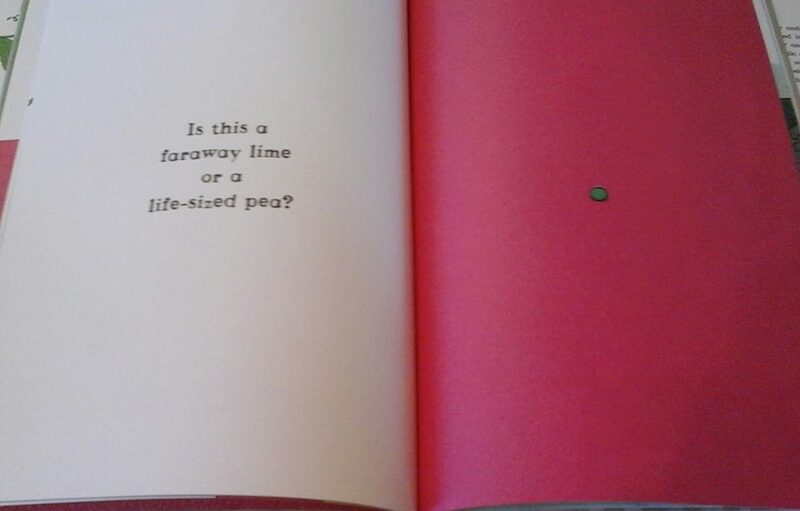 ‘Is this a faraway lime or a life-sized pea’ and ‘Is this is a distant doughnut or a close-up Cheerio?’ It would be an ideal spark in the classroom to use in art lessons for children to create their own versions, who knows where their ideas might lead them? A true celebration of food from around the world this book invites children to be curious and helps stimulate their imaginations and creativity. Joshua joins us on the blog today to talk about where he likes to write. I own an inordinate number of small Moleskine notebooks. I prefer the super thin ones that come in packs of three. These fit perfectly in my pocket. Though I have a surfeit of notebooks, I have a shortage of space. For a while, our apartment’s linen closet had a computer desk that I’d work from. Then we moved. Now I work mostly on the subway or at lunch or, as I am right now, on the plane. When I’m working on things like Can I Eat That? I try to do it by hand since the glow of the computer, for some reason, yanks me from the sort of joyous childhood curiosity I think is so important when writing books for joyous curious children. Thank you to Lorraine Keating and Phaidon for inviting me to join this blog tour and sending me a copy of the book to review. A proportion of the book’s proceeds will be donated to Action Against Hunger http://www.actionagainsthunger.org You can buy the book here. 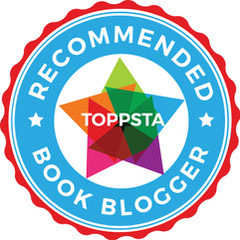 This entry was posted in Uncategorized on April 9, 2016 by bookloverjo. 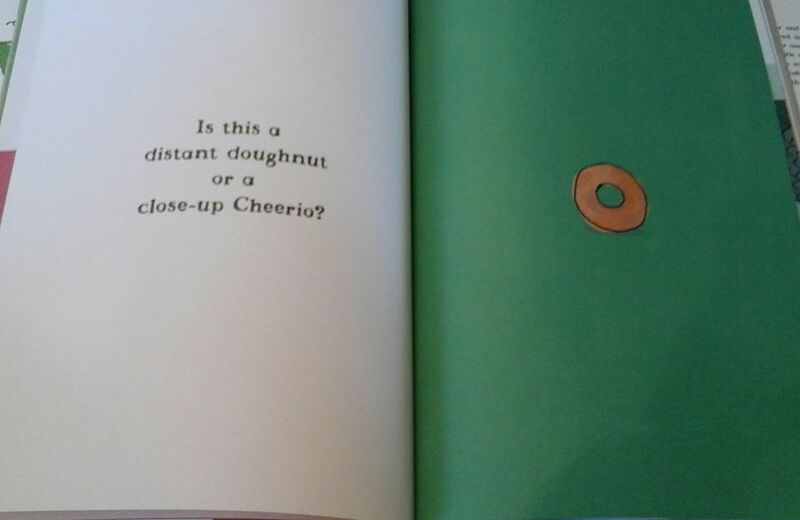 So before I tell you about this book I need to ask you to make a really important decision. If you think you may be erring on the side of Team Mean Cat then this might not be the book for you. 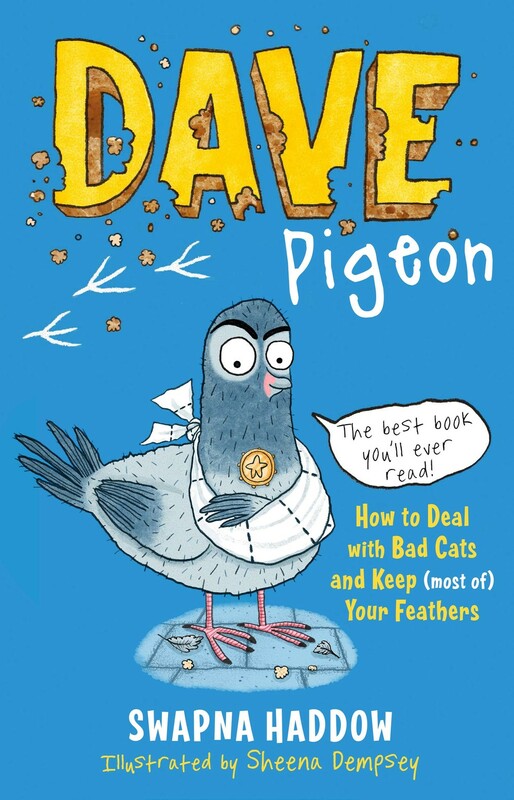 ‘Dave Pigeon’ or ‘Dave Pigeon How to Deal with Bad Cats and Keep (most of) Your Feathers’ (to give it its full title) is a hilarious tale from Swapna Haddow delightfully illustrated by Sheena Dempsey and is definitely a ‘Team Dave Pigeon’ type of book. 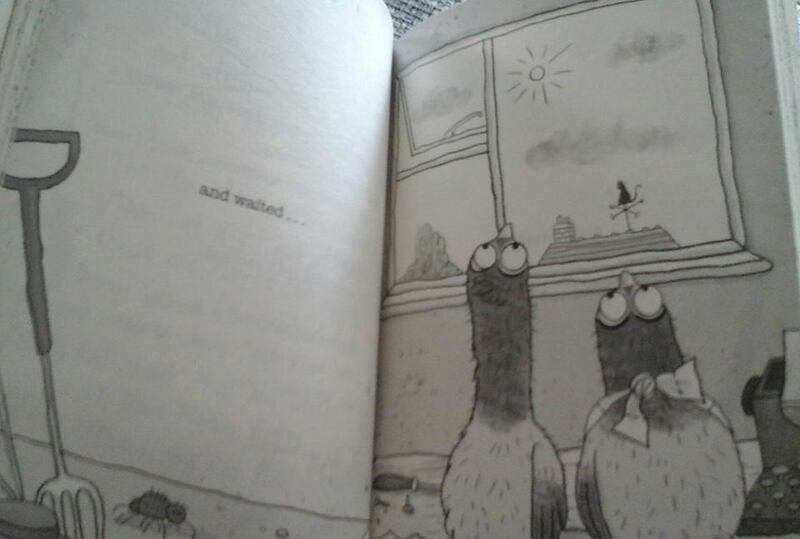 I knew from the opening page that this would be a fantastically, funny read which will be massively appealing to children. 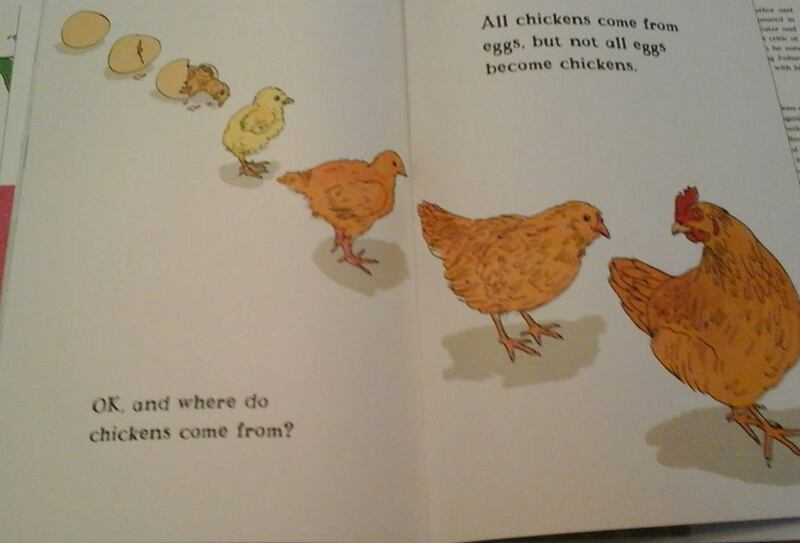 “you can read this, you obviously understand Pigeonese. You may read my book. If you’re a cat and you’ve learnt Pigeonese (HA HA HA! As if a cat would be smart enough to learn Pigeonese) . . . If you are a cat and you are able to read this, it must mean you have taken a pigeon hostage so that you can trick them into translating the Pigeonese words into Meow. I demand you release the hostage pigeon now. My book contains TOP SECRET ideas that are NONE of a cat’s business. Meet Dave and Skipper two fearsome pigeons who are on a quest to get rid of the mean cat from the human lady’s home where they have been taken to recover. Seeking revenge for the vicious attack on Dave, they plot to make the garden and house a safe place so they can have full access to the very best biscuits, (the ones with the jam in the middle in case you were wondering). Join our heroes as they undertake this dangerous mission in an attempt to make the world a better place for pigeons everywhere. 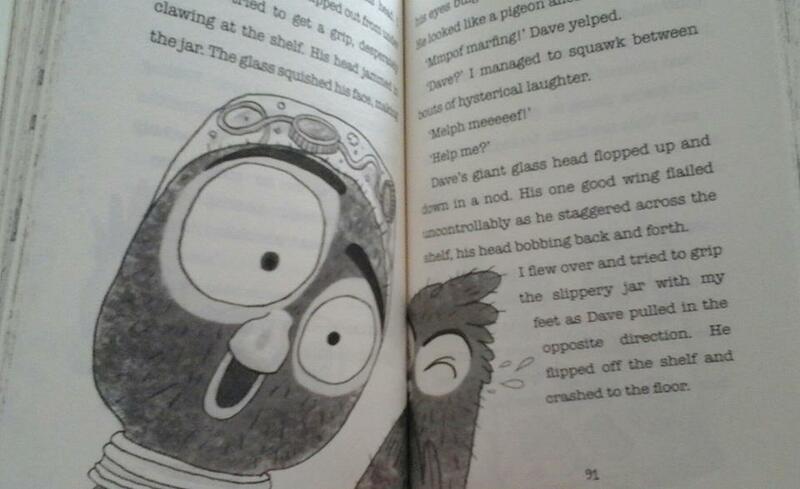 This book is brilliantly written with some real laugh out loud moments, Dave and Skipper manage to cause so much chaos and hilarity which is really endearing. I love the style and layout of the book with it’s mix of captions, illustrations and scribbling out of words it is so engaging for newly confident readers. 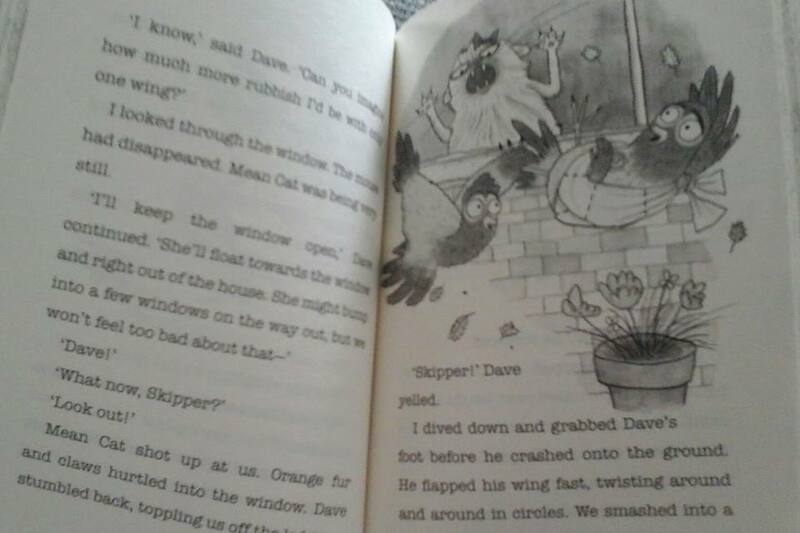 The relationship between Dave and Skipper is key to the story, the bickering and correcting of each other is wonderfully entertaining. 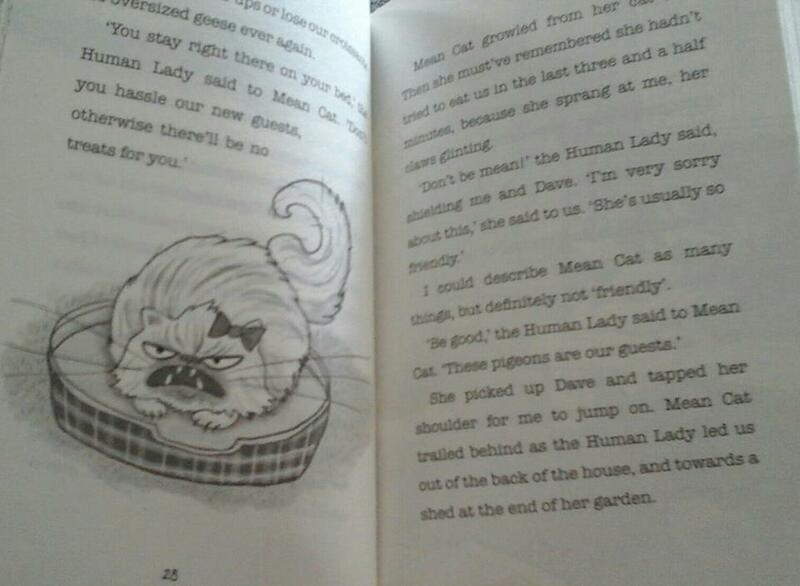 Sheena Dempsey’s illustrations perfectly compliment the story I particularly love Mean Cat his expressions are deliciously menacing. She captures the charm and humour of the story and children will be captivated by all of the characters as we watch our hapless duo try desperately to complete their mission. This book is a real triumph and I can’t wait for the next instalment ‘Dave Pigeon: How Not to Get Plucked, Minced, Roasted and Served up with Ketchup’ due for release in Spring 2017. 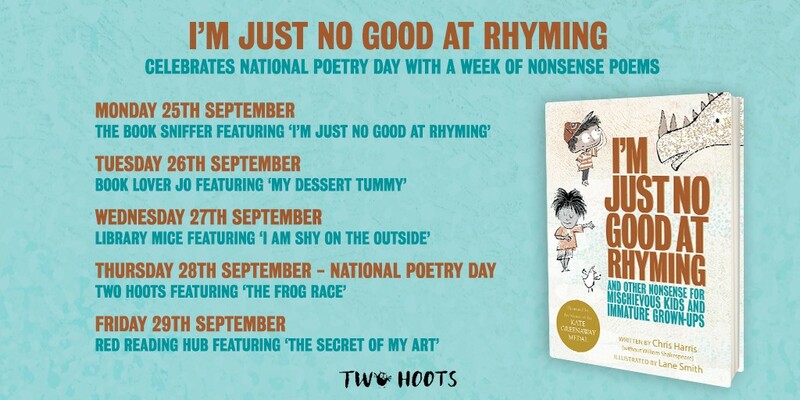 I can see it being a huge hit at school, perfect for fans of Pamela Butchart and Alex T. Smith. To find out more about Swapna Haddow you can visit her website here or follow her on Twitter @SwapnaHaddow You can read an interview with Swapna about Dave Pigeon on girlsheartbooks.com here. Thank you to Hannah Love at Faber & Faber for sending me a copy of this book to review. This entry was posted in Uncategorized on April 6, 2016 by bookloverjo. 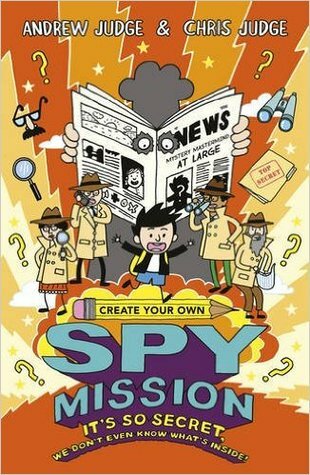 ‘Create Your Own Spy Mission’ by Andrew Judge and Chris Judge is a fantastic interactive doodle adventure where you, the reader chooses what to do next. I grew up loving choose your own adventure stories and I remember writing my own version at school so I was intrigued as to what excitement would lie between these covers. Ethan Doodle is a super spy and you are invited to join him on a Top Secret mission. Do you think you can keep a secret, if not you may be in for an explosive ending! Let the mission begin…. I set my daughter Freya off on this mission and she was immediately drawn into the adventure (no pun intended). It starts off with a top secret test where you have to write your name on a page rip it out and hide it somewhere safe to check how good your spy skills are in practice. You are then invited to doodle your way through the book and help Ethan Doodle on his mission to discover who has stolen the baker Mr. Dozen’s muffin recipe. All of your abilities will be put to the test as you have to assemble a spy kit, Freya chose a Private Spy Jet, spy goggles and false moustaches as essentials. Once you are ready to embark on the hunt for the missing recipe you are invited to select your suspect and follow them through the book. This book is brilliantly entertaining and provides hours of fun for all would be spies. Hilariously funny it will have a really wide appeal and would be perfect for taking on long journeys. A truly interactive storytelling experience both of my girls were totally fascinated by this doodling adventure and enjoyed choosing their own different ways through the book. 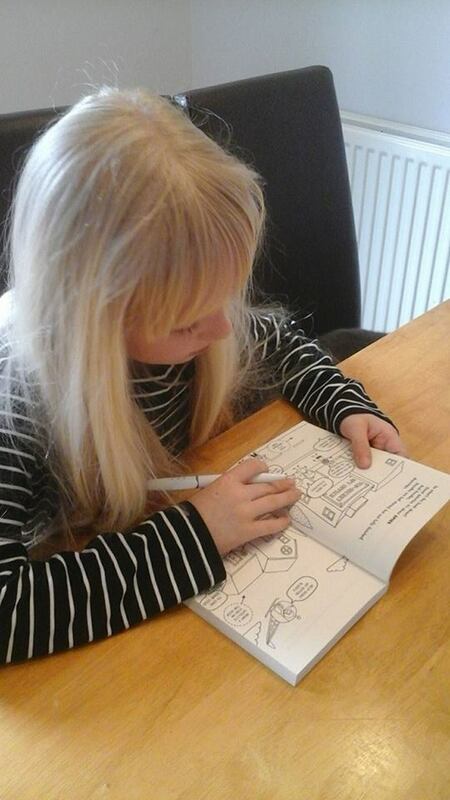 This book lets you draw, decide, fold and tear your way through this top secret mission. Why not join in with the rest of the blog tour for more fantastic guest posts and reviews. Thank you to Faye Rogers and Scholastic for my copy of this book and inviting me to take part in the blog tour. This entry was posted in Uncategorized on April 5, 2016 by bookloverjo. 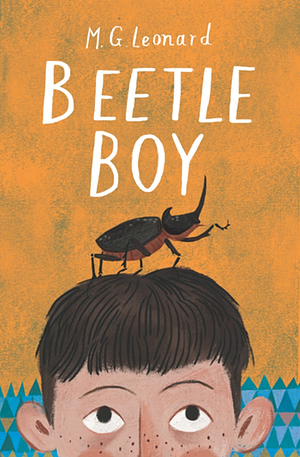 ‘Beetle Boy’ is a wonderfully, stunning debut from M.G Leonard which will captivate your imagination and delight you with its weird and wonderful characters. A story of friendship, resilience and beetles, it is full of drama, excitement and action which will have you gripped throughout. When Dr.Bartholomew Cuttle mysteriously disappears one day from inside a sealed vault in the National History Museum leaving his son Darkus behind, it sparks a bizarre turn of events. Nobody can explain how or why it could have possibly happened and Darkus is entrusted to the care of his archaeologist Uncle. Just when he thinks life can’t get any stranger a giant beetle drops out of the trouser leg of his revolting new neighbour. Baxter (named after the soup) seems to be trying to communicate with him but how can a beetle understand what he says? And does the sudden arrival of a strange woman Lucretia Cutter with a peculiar taste in jewellery have some significance, are they in fact inextricably linked? For me one of the highlights of this story is the fantastic cast of characters that M.G. Leonard assembles. Darkus forms an early alliance with the magnificent Virginia who has “the build of a featherweight boxer and skin the colour of cinnamon sticks,” and the geeky Bertolt who is “pale as chalk, with a neat body and…springy hair and enormous glasses”. This tight band of friends prove to be a real match for the villians of the piece who are deliciously grotesque. Uncle Max’s vile neighbours the bumbling Pickering and Humphrey live in squalor and spend their lives tormenting each other in a desperate attempt to outwit the other. Whilst Lucretia Cutter is reminiscent of Cruella De Vil but she is so sinister and loathsome that she makes Cruella seem warm and friendly. M.G Leonard crafts an adventurous tale which children will just want to dive into. With secret dens, magical beetles, mysteries to solve and dark humour they will be totally entranced by Darkus and Baxter. The wonderfully rich descriptive language matched with Júlia Sardà exquisite illustrations creates the most vivid of reads. I loved the incredible attention to detail, it feels like a real labour of love you can feel the energy and passion come shining through. It’s amazing that we are able as readers to make a genuine connection with the beetles and become filled with awe at their capabilities. The ending of the book is exhilarating and thrilling and I really didn’t want it to finish. Thankfully ‘Beetle Boy’ is the first book in a trilogy and we have ‘Beetle Queen’ to look forward to in May 2017. This entry was posted in Uncategorized on April 4, 2016 by bookloverjo.